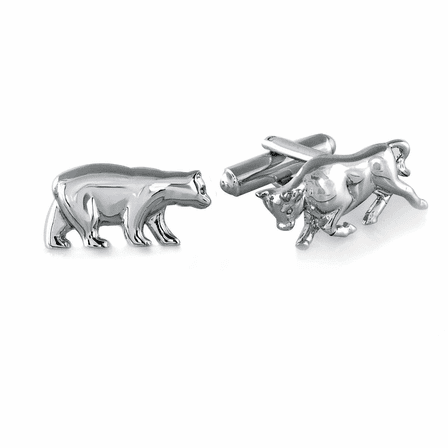 FEATURES/SPECS The only way for a wall street man to secure his cuffs, these polished sterling silver cufflinks feature a bull and a bear, the symbols of the financial industry. 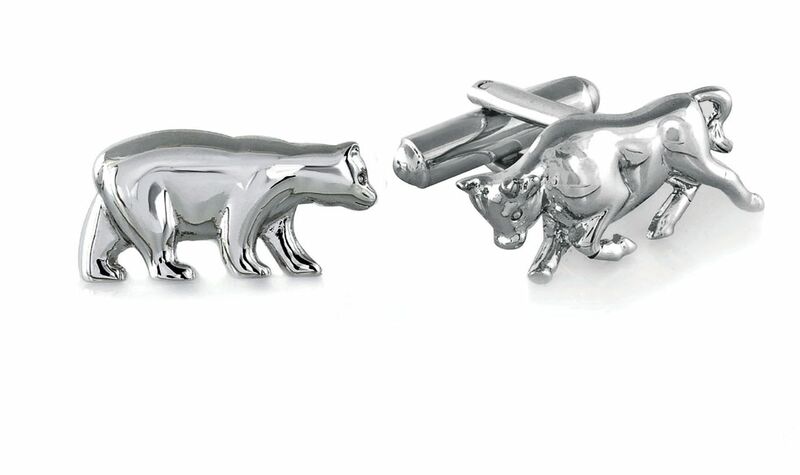 One link depicts a bull about to charge, the other depicts a bear standing at the ready. 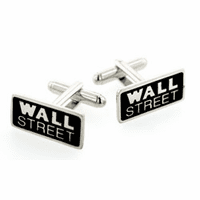 Each one has a bullet back closure to keep a secure grip on your formal or dress shirts. 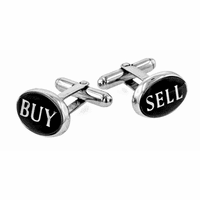 They are ideal gifts for a well dressed trader or stock broker, right at home on his finest tuxedor shirt or his every day button down. 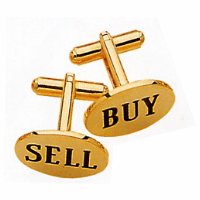 The set of two cufflinks comes packaged in a gift box and normally ships within one business day.